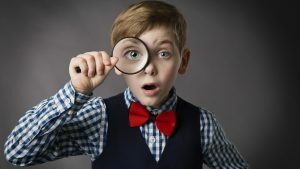 If it’s a business owner’s desire to make money online, they need to know how to spot dead-end business techniques. It’s in their best interest to focus on more promising ideas as opposed to ones that are a dead end road. Concentrating on other products or ways of doing things is especially essential when the plans are more personal. It’s easy to get blinded to the fact that some ideas and techniques aren’t working. Sometimes it’s best just to let them go and focus on other ideas instead. The same goes for business practices – some work better than others. We cover not only how to focus your attention on the right business ideas, but how to make your online business succeed in our free webinar training. It’s time to stop wasting time on practices and ideas that aren’t going to get you anywhere and instead, focus your attention on what will work! Entrepreneur reminds business owners that investing in a new business venture will not be easy and you should expect things to go wrong. It’s good to consider that not everything will go as planned, but there are always ways to overcome it. Before you commit to a new business idea for the long haul, you need to understand something: This will not be easy. Things will break. Your team will not always follow instructions. Same goes for any vendors or partners or distributors you have involved. Even if it’s just you selling your product through Amazon or Facebook, get ready for them to make another tiny tweak to their algorithm that completely upends your business. I don’t say any of this to discourage you. In fact, I’m saying this to protect your future success. If you get into marketing and selling your new idea thinking it will be easy, you are going to seriously disappointed by the reality of it. That gap between your expectations and reality could do more to hurt you than any algorithm change or sloppy team member ever could. An author on Inc. recommends using a CRM to keep track of potential customers and reach out to existing customers. Building relationships with customers is an excellent way to secure future sales in the future. Says Byrne, “CRM’s are designed poorly. The user experience needs to morph to different workflows and speak to the human.” In other words, you’re only as good as the tool you have — and if it doesn’t prompt you for the right information up front, it can’t display it for you later. Tools like Clari don’t come cheap — as an integration with Salesforce (and other tools), you’ll pay an additional 25 percent on top of your subscriptions. (Similar tools like Spiro and Aviso, incur similar monthly rates.) However, Byrne feels the 300 percent return you get from the service is worth it. With his pedigree, you can’t help but believe he’s on to something. Getting your emails and meetings under control is essential to making sure your business runs smoothly. 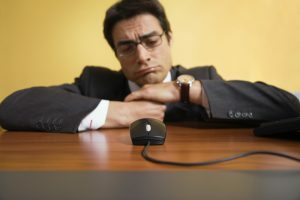 All Business says that wasting time on too many meetings and sending out a massive amount of emails can hurt your business in the long run, even though you need both to successfully run a business. Instead, you might want to consider a site like Teamwork, for example, where all of your business communications can land. That way all employees will see the necessary notice. In a past life I sat on an employee empowerment committee at an organization I worked for. Talk about wasting time; this committee never did anything, but we met weekly for an hour or two to talk about ways that we could “engage” or “foster community” or some other thing that never led to any action. When I go visit clients or talk to colleagues, I see this happening all the time in their organizations. Meetings are held just so that everyone can agree that they met about the issue and talked about, but no action is ever taken to do anything about it … unless that action is to have another meeting. Same goes for email. I’ve been on the end of email chains that go 20-25 emails deep, where absolutely nothing of note took place. So if you want to accomplish more with your time, get these two under control. A really great book on getting your meetings in order is Read This Before Our Next Meeting by Al Pittampalli. Build version 1 of your product. Having a prototype of your product makes it easier to sell your vision to investors. It also gives you some momentum and traction and helps you recruit partners and employees. Undoubtedly, version 1 of your product will not be as good as version 2 or version 3, but you need to start somewhere. When starting out, your product has to be at least good if not great. It must be differentiated in some meaningful and important way from the offerings of your competition‎. Everything else follows from this key principle. Don’t drag your feet on getting your product out to market, since early customer feedback is one of the best ways to help improve your product. Dan Waldschmidt points out that even though a business may have plenty of dead-end ideas, it’s from those horrible ideas that new ideas begin! Ideas are like roads. They start off dirty. Just an intoxicating sense of exploration. And that road goes as far as you are willing to build it. A dead-end idea just means that you haven’t put in enough effort to take your idea where it needs to go. Where you think it should go. Just because you’re smart doesn’t mean that your idea will take people where they want to go. Perhaps your ideas aren’t taking off like you’d hope they would. That doesn’t mean they aren’t great ideas; it might just say you don’t have enough experience in the niche you’re trying to sell. Nicholas Cole on Medium argues why experience is essential when trying to create a business and sell products. 9 times out of 10, when someone says, “I want to build a business, but I don’t know what kind of business,” they haven’t had enough experiences. They haven’t tried enough things. When you try new things, you discover what you like, what you don’t like, what you’re good at, what you’re terrible at, and ultimately what interests you the most. Right after I took the leap from my 9–5, I was a freelancer. I didn’t have any aspirations of building a business, honestly. I just wanted to pay my bills as a writer. But through that experience, I discovered problems people were facing. As a freelance writer, I realized CEOs and founders have a ton of insight to share, but really struggle to organize their insight into a well-written article. So, I solved that pain point. I learned what questions to ask, to prompt insightful responses. I learned how to write about a wide range of topics, quickly. I learned how to manage expectations. I learned how, essentially, run a 1-person business. And then why I could no longer sustain doing the work all by myself, I called up one of my closest friends and we threw around the idea of starting a company. The business came as a result of my own experiences. In order to figure out what sort of business you want to start, don’t waste your time sitting in front of a white wall, “brainstorming” ideas. The truth is, you won’t know what people want until you start talking to people, listening for what their struggling with, solving for it, and then deciding whether or not you enjoy providing that kind of solution enough to build a business around it. There’s no doubt you’re going to have to go through a few hiccups before some ideas really take off, but that doesn’t mean you should give up hope. There will be some ideas that work out and others that won’t. Join us for our free webinar training to learn how to make money off some incredible ideas that will get the attention of potential and existing customers. It’ll also secure you a place as a successful business owner on the web!